Posted on January 29, 2015 by Lea S.
If you’re a casual silent film fan, you’ve probably heard of early movie studios like Edison, Biograph, and Vitagraph. 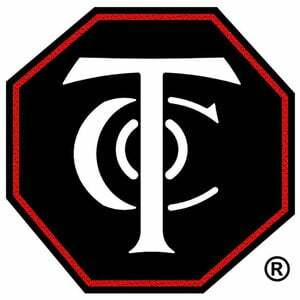 One you might be less familiar with–but which was just as important to film–was the Thanhouser Company. 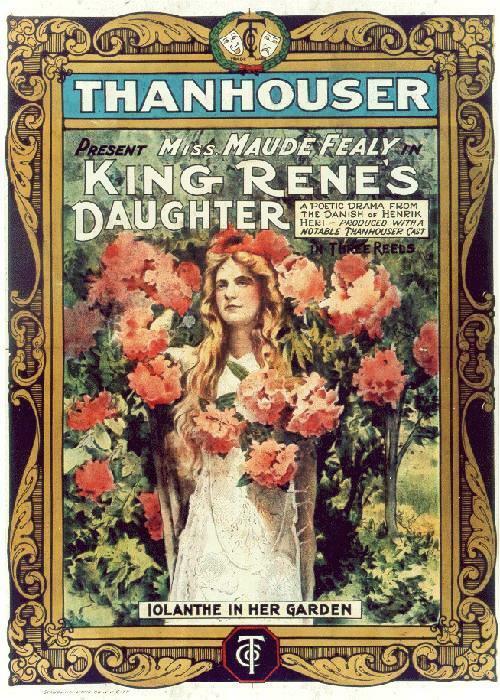 Active from 1909 to 1917, the Thanhouser Company produced around 1,000 films in that mere 9-year period and was one of the most respected studios in the business. After it folded it fell into obscurity and its films were soon forgotten. 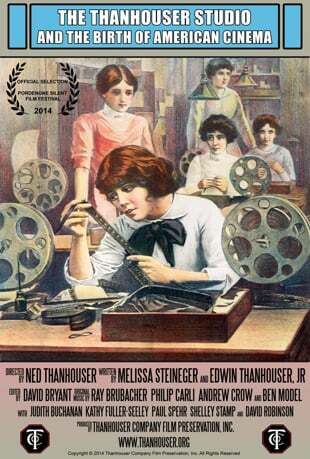 In 2014 the story of this fine company was finally given its due in The Thanhouser Studio and the Birth of American Cinema, a documentary produced by Ned Thanhouser, grandson of the studio’s founders. Ned had once believed that his grandparent’s films were all lost–until he saw a short clip from one in a TV show about the silent era. This sparked a desire to find more. He’s been tirelessly researching his family’s legacy ever since, collecting ephemera and locating rare prints of its films. So far his print tally is 225…and counting. His excellent documentary gives a detailed account of the rise and fall of this important studio. Edwin and Gertrude Thanhouser were gutsy people with the kind of determination that set many early filmmakers apart. Both had theater backgrounds, but after Edwin watched one crude early film too many he became convinced that he could make films too–and better ones. He, Gertrude, and his brother-in-law Lloyd Lonergan decided to found a movie studio in spite of having no contacts, distributors or equipment. How did they get their films into theaters without any contacts? Edwin simply sent out copies of their first film (The Actor’s Children) to local theaters. A few theaters showed the film, requested more, and the Thanhousers were officially in the picture business. The flagship studio, situated in an abandoned skating rink. 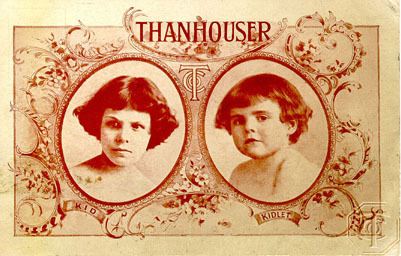 Despite being unknowns in the motion picture world at first, the Thanhousers quickly became known for their quality products, contributing to the rapid evolution of film as an art form. In a time when many films had relatively simple stories they weren’t afraid to go with more complex plots and a variety of characters. They also made films with moral messages, such as The Cry of the Children (1912), which spoke against harsh child labor practices, as well as elegant adaptations of literary classics like David Copperfield (1911). Their prestige grew until they were releasing two short films a week and boasting of popular stars like child actresses Marie Eline and Helen Badgley and leading players James Cruze and Florence La Badie. They even had a few animal stars–Shep the collie, Panthus the “ugliest puppy in the world” and Steve the snake! From the official Thanhouser site. Impressively, by this time the Thanhouser studio made up 25% of the independent market. Some of their biggest successes were the feature-length “blockbuster” The Star of Bethlehem (1912) and the popular serial The Million Dollar Mystery, starring Cruze and La Badie. Small satellite studios were opened in Florida and the burgeoning Los Angeles area to help meet the demand. In a smart business movie, the studio was sold in 1912 to producer Charles J. Hite for the then-staggering sum of $250,000. Under Hite’s guidance the studio continued to prosper. But it wasn’t all smooth sailing–in January 13, 1913 the New Rochelle studio caught fire and burned to the ground (fortunately without loss of life). Three weeks later, the company pragmatically released a fictional recounting of the fire called When the Studio Burned. Sadly, this was only the first in several tragedies that would strike the Thanhouser studio, leading to its decline. Hite would die in a tragic car accident in 1914, leaving the studio in confusion. Edwin tried to take the helm again, with less success. 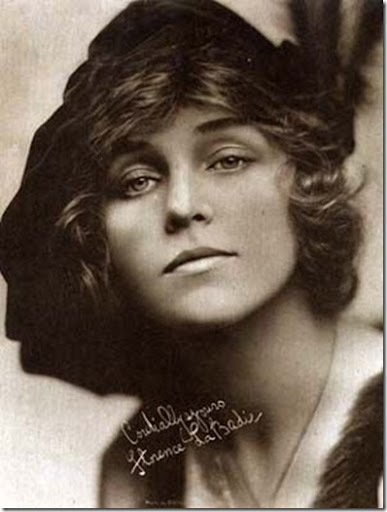 And in 1917 the talented Florence La Badie also died in a car accident, at the height of her popularity. Not too long afterwards, Edwin decided to close the studio for good. The Thanhousers’ story is presented in a well-made and thorough production that certainly does justice to its subject matter. The documentary had the honor of premiering at the prestigious Pordenone Silent Film Festival in Italy in October 2014. Since I’m always eager to learn more about the overlooked or little-discussed pieces of the silent era puzzle, this documentary was a perfect fit. This entry was posted in Review and tagged Documentary, Florence La Badie, James Cruze, review, Thanhouser, Thanhouser Studio by Lea S.. Bookmark the permalink. You’re welcome. 🙂 You were in Pordenone? That’s fantastic–someday I’d like to be there. It’s on my bucket list. Pordenone is amazing, that festival is my spiritual home. It’s three times I’ve been, although I won’t be back for a few years now, probably. 😦 Last year I did a few recaps, if you’re interested: here. Watched this on TCM last night. Completely fascinating! I am so glad Ned Thanhouser is trying to find all of the surviving prints of his grandfather’s studio. I was a casual silent film fan but since TCM has been airing “Silent Sundays” I’ve learned so much about silent films and have seen a few I never would have watched otherwise. What an interesting era, to be in on the very beginning of moving pictures. I am finding my interest is now much stronger than it used to be when it comes to silents, the stars and the back stories. I love it all! Thank heavens for TCM! For me, Netflix and then YouTube helped me really dive headlong into my “niche” interest (well, after a strong shove from Keaton’s filmography that is!). Glad you stopped by!